If you'd like us to add software to this page please fill in the Software Submission Form or send the information by Email. All we ask is that you return the favor by adding our link to your page. If you find broken links please let us know so we can keep this resource fresh. Project-Haystack.org Project Haystack is an open source initiative to streamline working with data from the Internet of Things. Sedona Alliance The Sedona Alliance represents the interests of a community of developers, system integrators, and users promoting the use of the Sedona as an open control software environment. BAScontrollers BAScontrol Toolset Contemporary Controls has developed the BAScontrol Toolset, which is a set of tools to develop, store and restore application programs for the BAScontrol series of controllers and the BASpi. The BAScontrol series of controllers is built on Sedona - a license-free software environment where components deployed in kits are assembled onto a wire sheet to create applications. https://nodered.org Node-RED is a programming tool for wiring together hardware devices, APIs and online services in new and interesting ways. It provides a browser-based editor that makes it easy to wire together flows using the wide range of nodes in the palette that can be deployed to its runtime in a single-click. BCBC Client Comfort System Design Manual is primarily intended to instruct and assist designers who are specifying computerized building controls for BC Buildings Corporation. It starts with an introduction which describes how to use the manual for the procurement process. An evolutionary document can be downloaded in Word and Excel format, a great resource and training tool for DDC. BCBC Client Comfort System Graphic Guidelines A mature downloadable guideline that shows how to create Automated Building Graphics with linkage to real time points. Although originally written for DOS and Windows based systems has some good rules for HTML presentation of building graphics. Applied Flow Technology is the Home of Windows-Based, Drag-and-Drop Pipe Flow Analysis Software. AVReporter Energy Management Software AVReporter software will help you track and summarize energy consumption easily, providing ready and available reports for day to day operation improvements and overall performance management.Metered data logged by the software, along with the reports provided will greatly assist with the successful implementation of your energy efficiency investments.Due to its user-friendly interface in either desktop or web environment, AVReporter is an excellent tool for any user, providing ready access to all reports and dashboards. At the same time, it can quickly be configured and maintained by your support staff using its wizard-like modules and online documentation. AzTechSoft Makers of GPS2CAD - Plot your GPS points in AutoCAD. Software and Resources for the Engineering, Architectural, and AutoCAD Communities. Better Buildings Interactive Better Buildings Interactive - HVAC Foundations software provides basic training on fundamental HVAC Concepts. The training includes training on psychrometrics, building comfort, energy conservation opportunities, HVAC components, and HVAC systems. Carmel Software Company Develops and markets HVAC software for commercial and residential heating and cooling load calculations, duct sizing, psychrometrics, refrigeration, and HVAC estimating. ControlCore The ControlCore programming environment - for micro controller embedded data acquisition and control applications - allows a user to completely configure, download, and monitor an arbitrary control algorithm inside a micro controller based communicating I/O device. It provides a visual, function-block oriented, programming experience allowing Industrial Automation and/or HVAC professionals with no programming skills to implement custom control strategies. Low cost communicating I/O devices now can be transformed into fully programmable controllers with minimal investments, generating significant savings in hardware cost, training and installation time. DNR DNR process is a provider of plant automation and control systems solutions to the process industry. It also offers most comprehensive real-time plant information, monitoring, control and manufacturing execution system (MES) with unparalleled benefits to the users. The company offers process solutions in the areas of water and waste water, fats and oils, pharmaceutical, food and beverages, semi conductor, oil and gas. Elite Software is a software developer for HVAC, electrical, plumbing, and fire protection design software. Over 30 programs are offered for such applications as HVAC load calculations, building energy analysis, HVAC duct and pipe sizing, plumbing & lighting design, fault current calculations, voltage drops, fuse and breaker coordination, and much more. Many HVAC software and other programs are also available for Windows. Energy Lens Energy management software to help businesses make energy savings by analyzing their half-hourly-data to discover energy wastage and cut energy costs. Engineered Software provides the FLO-SERIES software to design, analyze and troubleshoot new or existing piping systems. Environmental Support Solutions ESS is the leading provider of integrated software and services for both Environmental, Health & Safety and Crisis Management. ESS’ Compliance Suite™ and Essential Suite™ solutions have helped more than 35,000 businesses, government agencies and other organizations comply with international, federal, state and local regulations and industry standards. ETCConnect software for lighting designers and technicians. foAudits V Android, iOS, QNX, WinMobile and WEB Audits for Energy, Water, Lighting and Solar audits. FunctionFox Systems Inc. FunctionFox is a leading provider of simple, affordable time and expense tracking for small business and workgroups. TimeFox, its web-based timesheet application, is the #1 ranked time-tracking system in North America. Because TimeFox provides easy-to-use timesheets and instant, comprehensive timesheet and expense reporting, it is the product of choice for a wide variety of businesses and workgroups. Graphic design and advertising firms, legal and financial institutions, government departments, health service organizations, and accounting groups all choose TimeFox as their web-based timesheet application. TimeFox timesheets are currently used by thousands of customers in Canada, the US, Europe, Australia and New Zealand. HVAC Engineering Calculators Online Online engineering calculators for HVAC. Variable Speed, Primary-Secondary and Cooling Tower Pumping Wizards. Steam supply and condensate return pipe sizing. Many more online engineering calculators, software downloads and technical resources are also available at this website. HVAC Solution Automatic, Dynamic, HVAC Schematics AHR Booth #7710 This is a Windows based HVAC engineering software tool for engineers and designers. HVAC calculations and practices are incorporated into a single software package. Airflow and hydronic components (i.e. fans, boilers, chillers, pumps, etc.) are connected schematically. Components share information with each other. Inputs and schematics may be updated and saved for quick retrieval, or new projects. This program automatically prepares equipment schedules for construction documents. Saves time and reduces errors! This is Powerful Software, a new Technological Patent Pending Process. Integration Objects provides plant integration services and connectivity solutions between real-time systems, applications and devices, improving their interoperability, and enabling a scalable and maintainable communication infrastructure. They also provide custom solutions to monitor supply chain performance and uncover areas for profitability improvement. INTUNE Process Control Toolkit: Features include Auto-tuning, simulation, modeling, diagnostics, event log, and no-bump adaptive-tuning for single or multi-loop application in process control. Linric Company is a software developer and engineering services company for the Heating, Ventilation and Air Conditioning (HVAC) industry. We produce the finest psychrometric calculation and psychrometric property software tools for HVAC engineers and others. We custom develop time saving software tools for engineers and manufacturers. LonWorks manager tool: NL220 NL220 is a software package for designing, installing, and maintaining multi-vendor, open, interoperable LonWorks control networks. Maintenance Software Preventive maintenance software for facilities and equipment. Matrikon Matrikon is a leading provider of integrated industrial intelligence products for the continuous process enterprise. Our products promote safe, reliable operations and support your vision for operational excellence by enabling production management, asset performance and operations optimization initiatives. Only Matrikon offers a complete suite of products that spans planning, tracking, monitoring, reporting and optimization for your operations enterprise, from plant assets to people to processes. With a strong focus on alarm management, production management, condition and performance monitoring and process visualization, Matrikon products are designed to take real-time operational data, turn that data into actionable knowledge, and translate that knowledge into profit. MatrikonOPC Server for BACnet (Annex J) The MatrikonOPC Server for BACnet provides real-time data access between OPC Systems and building automation system devices supporting the international building automation protocol BACnet. Unlike proprietary methods, the MatrikonOPC Server for BACnet enables users to perform large scale centralized building control and monitoring from a “single seat” workstation. mBedded Server ProSyst mBedded Server, a small footprint server software for network services (Open Service Gateway systems) is the first Jini, UpnP, Bluetooth and WAP enabled software. The server infrastructure is designed to be embedded in a variety of network devices. The key element of mBedded Server is connecting devices and allowing them to communicate with each other and the Internet. It enables remote control and remote diagnostics of household devices like refrigerator, oven, microwave, washing-machine, climate control units and security system consoles and of board computers, etc. ModMultiSim A tool to speed development of Modbus systems by enabling dynamic simulations of multiple slaves and their environment. PID Tuning/Analysis - ExperTune PID Analysis and Tuning Software makes it easy to analyze and tune PID loops in ANY industrial controller. Includes powerful simulation, modeling, robustness, frequency, hysteresis, filtering and linearization analysis. Piping Systems Fluidflow Piping Systems Fluidflow is a simulation software program that provides engineers with a total working environment for the hydraulic design, analysis and troubleshooting of new and existing piping systems. PowerCad-5 Electrical Engineering Design Software for LV distribution networks, industrial, commercial and domestic projects. Richards-Zeta Building Intelligence Links to Richards-Zeta's DDC and graphical programming website. Complete company, product and service details. QuoteExpress HVAC HVAC Cost Estimating Software for Ductwork and Equipment. SmartCSM SmartCSM is a cloud-based software platform that helps make buildings smarter using easy-to-use digital as-builds of a building’s electrical infrastructure allowing operators to easily move their electric panels and assets from paper to online management. TEAMS TEAMS allows fast and accurate selection of air distribution and VAV terminals, complete with full acoustic modeling per ARI application standards and ADPI calculations per ASHRAE Chapter 31. The Hartman Savings Calculator can work for you. Time Domain Time Domain is the world leader in ultra wideband (UWB) product development and provides solutions that enable enterprises to maximize productivity of their people and assets using a real-time location system (RTLS). Our products and professional services deliver "Precise Location for a World in Motion" to the healthcare, retail, and other vertical markets and are sold and supported through a network of certified channel partners. Time Domain's new Precision Location UWB System (PLUS™ 2.0) products are powered by the innovative PulsON suite of UWB technologies, which are also available for strategic OEM integration. For more information, please visit www.timedomain.com. Pharos Capital Group, LLC, www.pharosfunds.com, of Dallas, Texas and Nashville, Tennessee is Time Domain’s largest Private equity investor. Trend Importer The professional, cost effective tool for managing trend log files. Combine, chart and share individual trend log files in minutes instead of hours. U.C.ME-OPC U.C.ME™ is alarm notification and analysis software. It uses SMS, WAP, RSS, Phone, Fax, Email and Multimedia to notify users on alarm situations. U.C.ME™ is an OPC and DDE client software. 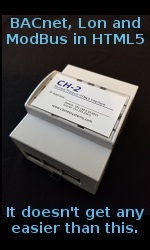 It can connect to any OPC or DDE server or any SCADA that supports OPC/DDE. U.C.ME™ supports bidirectional communication via SMS and Phone. Users may acknowledge alarms, query or change tag values via SMS or phone. Solutions : Building management, Security systems, Industrial control, Water treatment, Healthcare and more. U.C.ME is not just alarm notification for control systems. At the moment of alarm, it also takes a “snapshot” of all relevant parameters (tags) and sends them straight to your cell-phone, offering you a complete picture of the system so you know where the problem lies. Then you can take the right decisions based on real-time information. VideoCAD Program for professional CCTV system design. SCADA Engine SCADA Gateway and ActiveX component for developing Man Machine Interfaces. Drivers for Modbus, Carrier, BACnet and Atlas systems. Winlog Lite Winlog Lite is a simple and flexible real time SCADA software package for the supervision of industrial and civil plants. An integrated development environment provides different tools (Gate Builder, Template Builder, Code Builder) for the easy and intuitive creation of multi-language applications. Communication with most available devices (PLCs, controllers, motor drives, data acquisition modules, etc.) is ensured by an extensive library of drivers. 3D control systems graphics Provide 3D control graphics for any building system and HMI software. Outsourcing services for all major building control manufacturers. Aconex – Online Document Management Aconex is an online document management service providing web collaboration for construction, engineering and facilities management. BAS GRAPHICS Custom graphics for building automation industry. Building Systems Automation Utilize handheld devices to automate facilities and building systems management. Combine handheld devices with sophisticated software that includes Work Order Management, Scheduler, Route Manager, Asset Tracker, and many more useful functions. CBAS With Computrols' Visio Building Automation System Graphics, you and your team can speed projects to completion by creating complete CBAS drawings through Microsoft� VisioTM; without specialized software or training. No more will your technicians need to spend hours upon hours learning and working through complicated graphic applications—or not being able to finish a project because graphics simply take too long to complete. Simply drag-and-drop Over 250 Full Color HVAC, Chill Water Plant, and Fire System Illustrations of modular images onto your document to build the exact illustration needed for your particular job. We've included graphic representations of ductwork, HVAC mechanical elements, piping, and pumps, along with a full range of chill water elements. Computrols' nearly limitless range of custom illustrated BAS graphics and interfaces can be imported into CBAS quickly and attractively without any difficult training. It's easy, simple, impressive--and now it's FREE. Download today and complete projects faster! Digital Signage Software The leading web delivered digital signage software solution. Domestic Server The Domestic Server software provides an easy to use and open interface between commercial (building) control network hardware, application software (CAL, OLE for Process Control or OPC, XML and Enterprise Java Beans (EJB)) and connectivity (dial-up and Internet / IP) to multiple networks simultaneously. It can interface any hardware standard (i.E. : CEBus�, Domosys PowerBusT, X10T, LonWorksT, Konnex�, ITI�, Bluetooth�, 802.11�) with applications, making the interface to the building network more "natural" for system developers and system integrators. Included is the Domestic Network Builder that greatly automates network discovery, setup, maintenance and debugging. DomesticSoft has over 4 years experience in designing OPC based control networks and more than 12 years experience in process and building control software development. We offer a comprehensive range of services from hardware advice to developing specialized software modules based on our products Domestic Server and Domestic Portal. DotVision Studio Industrial Edition DotVision Studio Industrial Edition is a user-friendly Software Tool enabling anybody to build graphical, real-time, intuitive, object-oriented Monitoring Application including Home/Building/Industrial Automation, Tracking Vehicles and persons, GMAO, ... Can be used in complement to your SCADA, ERP, GMAO, MES applications. ECS (Event Control System) ECS is an all-purpose/object-oriented automation program for commercial and industrial environments. Automated tasks may be implemented via simple time-based schedules and/or English-like scripts. Elegantly simple, yet extremely powerful, ECS may be accessed from web browsers, webphones, and PDAs. We have been developing automation software since 1990. Please see our web site for a free evaluation. Elemco Building Controls, Inc. (EBC) Building Automation Solutions, Systems and Software; Interoperability Specialists; Energy Management, Metering, Measurement and Verification. Environmental Control Having problem with all your building systems communicating seamlessly? We build DDE, OPC based applications that resolve your problems of interoperability. We are a Boston, MA based company specializing in software and services in HVAC, Process Control, Monitoring or SCADA applications. FieldCentrix FieldCentrix is the leader in wireless and Internet-based software for the field service industry. GreyHound Greyhound is a user friendly system that connects buildings to the internet granting authorized users supervision and control using simply a Java-enabled web-browser. Honeywell Delta 1000 Gateway The Delta 1000 Foxtrot 1000 Gateway makes it possible to replace your outdated Honeywell Delta 1000 building automation management system and it's peripherals with a modern central system of your choice, such as Intellution's FIX, TA's TAVISTA or Wonderware's InTouch. All your existing Delta 1000 channel wiring, DGP's with field wiring and sensors are kept intact. i-man integrated management Powerful Web based management solution. Features include task tracking, workflow, asset tracking, compliance tracking, project management, time billing and more. Supports service based environments including I.T. departments, software support, facilities management, and financial services. Invensys FMS FMS software for total building automation. KEPServerEX OPC Server The single, consistent interface of KEPServerEX allows you to truly maximize the promise of OPC. You can add multiple driver "plug-ins" all within a single OPC server without worrying about learning new communication protocols or spending time understanding new applications. The list of drivers includes PLC and device drivers, database and application specific drivers, and a user-configurable driver for serial and Ethernet data acquisition. PeakHMI A cost effective HMI solution with unlimited tags, unlimited graphic windows, trending, alarming, OPC server and client, web-server, video snapshots/recording, MODBUS RTU and TCP/IP, Bacnet/IP, Ethernet/IP, SNP-X, Automation Direct, etc., all for one low price. Tridium, Inc. Tridium is a framework, software, and services company helping users of embedded devices to harness the power of the Internet and the latest technologies. The core of Tridium's technology is the revolutionary Niagara Framework(tm). This patent pending technology is a fully Internet-enabled, distributed architecture for real-time access, automation and control of embedded devices as well as an integration platform for enterprise applications. visiomatic building automation The visiomatic� Home System is a software-based ready-to-go product with which you can control all technology and media out of the field of building technology, entertainment, infotainment and telecommunication. WebCTRL For two decades, Automated Logic has been a leader in providing innovative building control technologies. The company again furthers the cause of operational freedom by launching its browser-based remote access building control software, WebCTRL(tm). WebCTRL provides flexibility like never before with its Java-based web technology, 100% open architecture, native support for BACnet�, and ability to run on many different operating systems. 212 Software 212 offers a robust line of affordable property management software solutions to help you efficiently manage the accounting, administration, and maintenance needs of your condominium complex, residential community, or homeowners association. 360Facility 360Facility is a comprehensive service request, work order, preventive maintenance and asset management system. The solution is delivered via the Internet to your standard browser. Everyone in your organization can access the data and there is no hardware to buy or software to install. Bigfoot CMMS With over 1,400 customers, Bigfoot Computerized Maintenance Management System (CMMS) has a proven track record of managing the maintenance needs of organizations worldwide. Bigfoot CMMS’s full functionality paired with its intuitive design allows you to implement the solution and get results quickly. Visit www.bigfootcmms.com for more information and to schedule an online demo today. Buildium Property Management Software Software Designed to lighten the workload of property managers, association managers, and owners. Our software can handle all of your needs including business accounting, tenant management, maintenance requests, reporting, and more! CMMS/EAM Eagle ProTeus ProTeus is the only CMMS to offer seamless integration with hundreds of Building Automation Systems, including those from Johnson Controls, Tridium and Invensys. CMMS / EAM - TMASystems Providing powerful Computerized Maintenance Management Software ( CMMS ) and EAM solutions for facilities such as universities and hospitals, colleges and manufacturing plants. CMMS Preventive Maintenance Software EZ Maintenance software for total equipment and vehicle maintenance. This CMMS preventive maintenance software can track and unlimited number of vehicles or pieces of equipment. CMMS Software Nexganam professionals resolve to all of your CMMS software and CMMS program requirements. It is the simple to organize and easy to use. COGZ CMMS - Preventive Maintenance Software COGZ CMMS - Preventive Maintenance Software - Work Order Software Simple installation, quick setup, ease of use and speed of operation sets the COGZ preventative maintenance software apart from other maintenance management systems. Take command of your maintenance with COGZ CMMS Software, Maintenance Management Software! With its intuitive interface and user-friendly design, COGZ integrates preventive maintenance and work orders. CWorks CMMS CWorks is a complete solution for computerized maintenance management system (CMMS) with full source codes for MS Access. Dynamic Facilities Management Software Customized version of Archibus FM that has a very robust preventive maintenance component. eMaint X3 CMMS Web-based CMMS maintenance software solution serving facilities maintenance managers for over 20 years. ePAC Powerful, Affordable, Intuitive CMMS to streamline Work Requests, Inventory Management, Work Planning/Scheduling, and reports so you can Manage Maintenance as a Business. Cut down the phone calls. Make repair/replace decisions with confidence. eLYNX is available as a Mobile solution to provide a paperless link to ePAC. e-WorkOrdersPlus 100% Web based system for Preventive Maintenance and Work Orders. Dispatch and complete work on PDA then upload to the Web. ESC Service Dispatch Software ESC Software simplifies the management and operations of service companies. ESC will organize and streamline the work flow of both small and large service companies, making them more manageable and profitable. EXPERT-maintenance EXPERT-maintenance software enables planning, controlling and analysing routine maintenance, inspection, repair, material control and outsourcing. EXPERT-maintenance software is so easy to use, that no training is required! FacilityDude provides an integrated suite of web-based facility and energy management solutions. Our tools are easy to use, affordable and scalable to help organizations save money, increase efficiency and improve services. FacilityONE The only consolidated, web-based facility management solution delivered with a supercharged interactive blueprint interface. Period. The proprietary FacilityONE SMARTPRINT� Interface consolidates your facility's floor plans, drawings, and systems information in one easy-to-use application that places all operational facility information at your fingertips. FacilitiesDesk FacilitiesDesk is a web-based Maintenance and Facilities Management Software with asset management capabilities. Facility Maintenance Software Hippo Facility Maintenance Manager software is an intuitive, web-based software, providing a powerful demand and PM work order management tool, comprehensive reporting system and integrated resource library to ensure a timely and effective strategy that will increase the life cycle of your facilities. -- Click here to get a FREE Demo today. FacilityManager FacilityManager from TISCOR is the first and only truly paperless CMMS solution of its kind. Technicians can now complete all preventive maintenance tasks on Palm Pilots without ever picking up a pencil and a piece of paper. FacilityManager generates paperless scheduled/unscheduled work orders from the field using Palm Pilots, streamlines PM activities, tracks estimated and actual labor hours and material costs, and integrates into other popular facility software. FAMS - Facility Asset Management System FAMS is a web based CMMS system that is designed to simply work tasks while maintaining the control needed within facilities. FAMS can be used at all levels within an organization, from engineers or administrators to corporate staff. Faciliworks FaciliWorks Computerized Maintenance Management Software integrates preventive maintenance, work order management, inventory tracking, purchasing, tool crib management and much more. F.A.S.T By CFI We provide business and technology Consulting, Systems Integration & Implementation, Outsourcing and Performance Measurement solutions. With 600 million sq.ft. of facilities under our belt, we know facilities management and can help your organization be successful. Our clients include; 3 Com, Alliant Energy, AT&T, Compaq, Baxter, BP Amoco, Bristol-Myers Squibb, EDS, General Motors, Grainger, Keyspan, Lucent, Pharmacia, Pfizer, Proctor and Gamble, Unicco, Whirlpool, Xerox and many more. We work within your budget and requirements to deliver world-class solutions - better, faster and cheaper. Give us a call and in 15 minutes you learn what these companies have - that CFI delivers results. FastMaint CMMS - Maintenance Management Affordable and easy to use preventive maintenance management software for small to mid-size organizations that need to perform facility maintenance, equipment maintenance, plant maintenance, fleet maintenance, building maintenance and so on. Field ID Field ID provides cloud-based safety management and inspection software for use with smartphones, tablets and the web. FTMaintenance FTMaintenance provides streamlined maintenance operations with benefits including decreased operating costs, increased equipment life cycles, and fewer plant interruptions. HVAC Service Software All-in-one dispatch, inventory, and accounting software for HVAC and plumbing contractors. I'mOnIt! Preventive Maintenance Software For under $500, I'mOnIt! Equipment Maintenance Software is an easy-to-use, affordable Computerized Maintenance Management System (CMMS) that allows you to easily track and monitor the maintenance and repair schedule of any kind of equipment. Jobtrack 2000 Project data, timesheet, expenses, time billing, contact management for networks, intranets and web. Great for consulting engineering, rep. or contracting firms. Landport Facility Management Software Landport provides an easy-to-use problem-solving platform for handling online work orders, preventive maintenance and detailed report generation. Maintenance Connection (Web-Based CMMS) Maintenance Connection is a rapidly growing company leading the way in maintenance management using pure Internet technology. With maintenanceconnection.com, we deliver a full-featured web-based maintenance management (or CMMS) solution including Work Order Tracking, Preventive Maintenance / PM Software, Asset Management, Inventory Tracking, Procedure Library, Labor Scheduling, and Service Requests all available through the Internet using a web browser. Maintenance Management Software 3.0 WinMain CMMS fully integrates all aspects of Maintenance - Equipment, Preventive Maintenance, Work Orders, Labor and Outside Contractors, with Spare Parts Inventories, Purchase Orders, Vendors, and Budget Accounts. Maintenance Manager Maintenance Manager Computerized Maintenance software is designed to interface with Johnson Controls' Metasys Building Automation System. Maintenance Manager generates maintenance work orders based on alarm stages or on runtime totals in Metasys. Contact us today or ask your JCI rep for info. Maintenance Partner Maintenance Partner is a web-based maintenance management solution that uses the most advanced technology available. Maintenance Partner will improve your organizations asset utilization, enhance asset reliability and availability, reduce maintenance costs, extend the useful life of your assets, and increase the return on investment for all of your maintenance-worthy items. MaintSmart CMMS Software maintSmart CMMS software uses work orders, preventive maintenance and equipment failure tracking to optimize your equipment maintenance system. Manager Plus Maintain equipment, vehicles, tools, and facilities! ManagerPlus maintenance software is designed to be very intuitive, yet powerful and affordable! Our easy-to-learn program is built for users without a lot of computer experience. It has easy-to-understand screens that make entering data a snap! Simple navigation, help menus and more get you up and running quickly. MicroMain XM - Computerized Maintenance Management Software (CMMS). Streamline maintenance operations, maximize productivity and reduce costs with MicroMain XM - the easiest-to-use, most economical and comprehensive CMMS available. Automate work orders, schedule preventive maintenance tasks, issue purchase orders and completely track assets and inventory levels. Plus you can track trends with detailed reports and make better decisions. ModSlaveSim Modbus slave simulator for testing and configuring Modbus masters. Supports both serial and TCP interfaces. PageGate PageGate is frequently integrated into building control systems in order to provide another level of notification should problems occur. SAM Pro Enterprise SAM Pro Enterprise provides an integrated service management, mobile workforce, back office and CRM solution for service firms. Its components function seamlessly, enabling customers to proactively manage daily operations, automatically schedule and execute critical reporting, and communicate securely via the Web with the sales force, technicians, subcontractors and other suppliers. SiteFM Facility Management Software SiteFM™ work-order management software helps safely and effectively manage your healthcare facilty environment of care. Smart Service HVAC Software Smart Service HVAC software is fully integrated with QuickBooks to reduce the time of double data entry. It also allows you to track actual job times for each of your HVAC service stops. Heating and air conditioning service software that will help you grow your Heating and Air Conditioning company and service your clients better. Transcendent: EAM & CMMS is a powerful EAM & CMMS designed to offer the best asset, document, and work management. It has best-in-class mobility for work orders, requests, inspections, rounds, and meter readings. U.C.ME-OPC Alarm Notification and Analysis software - connects to any OPC or DDE server and sends alarms via: SMS, Telephony, Email, Fax and more. WirelessFieldService Online and mobile software for field service. Easy to use, fast to get started - SAAS based available on a monthly basis. Work Order Software by Micro Main MicroMain Maintenance Management features an easy-to-use work order management system that allows you to assign and track labor, parts, tools, and other information for both scheduled and on-demand maintenance tasks and work orders. Work orders serve as the basic tracking document in Maintenance Management for repair history, preventive maintenance, inspections and labor costs. Individual work orders can be grouped together to organize larger projects. Yardi Advantage and Enterprise Customizable Property & Asset Management software for all property types, including HOA's and their management issues. Included is an integrated accounting and financial reporting system. Available in three database platforms, including SQL Server and Oracle, combined with WEB enabled technology make Yardi Systems the number one choice for industry leaders. Watch*IT OPC We have designed Watch*IT OPC to monitor data from many sources, from a single temperature probe in a storage room to a large-scale manufacturing process. It can even watch the computerized systems and networks that support your site. Whether it is a laboratory, manufacturing plant or a storage closet, Watch*IT OPC collects information from your existing systems and provides you with alerts and trends.